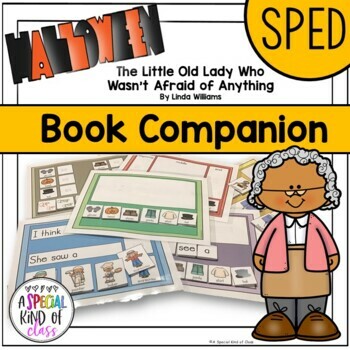 Using the book “The Little Old Woman Who Was Not Afraid of Anything” by Linda Williams, this unit contains five days of simple activities and communication boards. Use the activities to expand your students’ knowledge of book conventions, prediction and ability to answer questions. 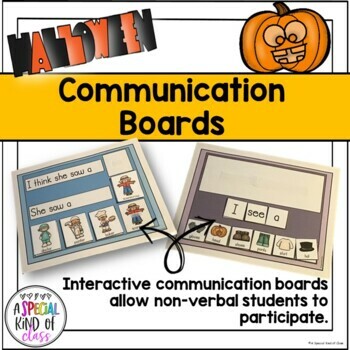 Non-verbal children or children with complex needs should have the same opportunities to actively engage in group reading activities as their peers. 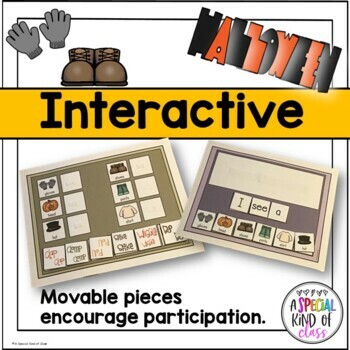 With some modifications and picture support, these students can be successful at demonstrating their learning with purpose and understanding. 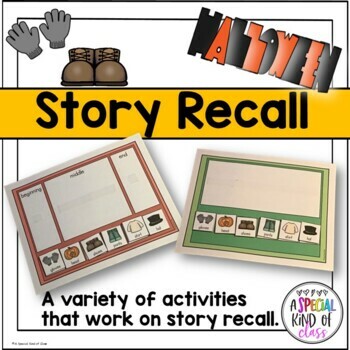 By using the same book every day and revisiting the story, your students will have an opportunity to practice the same skills in a variety of ways. These work on matching and memory skills.